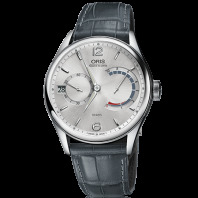 Oris has combined in this watch family sporty style and modern technology while delivering a luxurious and classical features. Watches of Culture Collection are equally functional for your active life and business time. 14 320 SEK VAT incl. 14 320 SEK VAT excl. 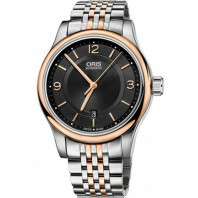 In profile the Oris Artix Date has curves in all the right places. The four piece case is water resistant to 10 bar/ 100 m and the unique 3D dial construction is as interesting as it is beautiful. 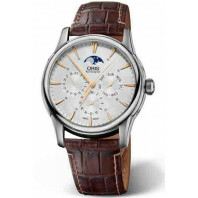 The quality Oris mechanical movement ensures that there is more to these curves than first meets the eye. Gorgeous.